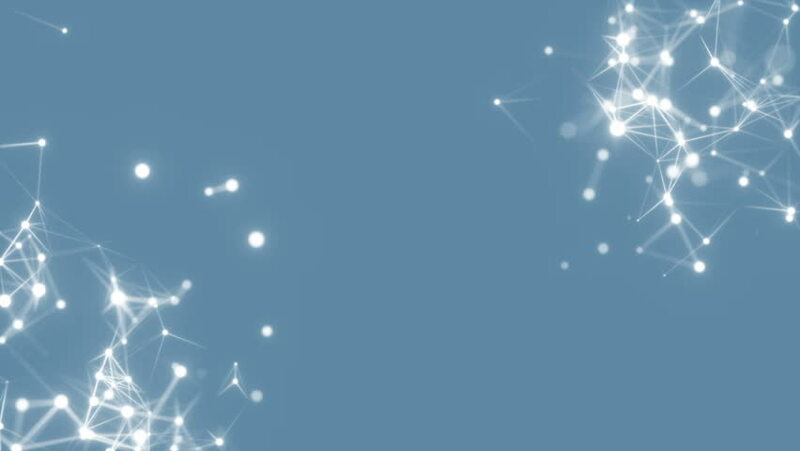 Digital snowflakes on a blue background in the corners of the screen.Network of Light Particles Connected with Glowing Lines . Seamless Looping Animated Motion Background. hd00:15Numeric swarm in the corner.Fly through abstract 3D rendering of a scientific technology data network conveying connectivity, complexity and data flood of modern digital age.Seamless loop. hd00:15Fly through abstract 3D rendering of a scientific technology data network conveying connectivity, complexity and data flood of modern digital age.Seamless loop. hd00:15Blue background for text.3d rendered abstract plexus shapes. Connection and web concept. Digital, communication and technology background with lines and dots. Loopable sequence.